Search Results for "fat woman fitness"
Fat woman and slim girl. Female legs on beach background. Fitness versus obesity. Overweight woman exercising on trainer, outdoor. Funny fat woman doing fitness training at the outdoor gym in park. 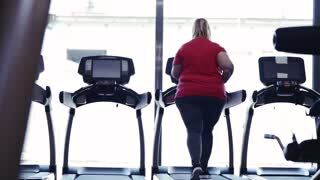 Overweight woman exercising on trainer, outdoor. Funny fat woman doing fitness training at the outdoor gym in park. Kaliningrad - June 2017 Russian. Fat woman on the machine at the gym. Fitness club. Fitness woman jumping on box training at the gym, crossfit exercise. Sports concept fat burning and a healthy lifestyle. Close up blurry of sport woman legs running on treadmill in fitness gym sport center with window and sun light background. Exercise workout of diet and fat burning for healthy and wellness lifestyle. Overweight woman in gym exercising on rowing machine.